With such little Dodger news lately, anything about the boys in blue these days gets us a little excited. Here’s a bit of news about reliever Tony Cingrani. The Dodgers have reportedly reached an agreement with Cingrani on a one-year 2.6 million dollar deal. Cingrani was arbitration eligible and the new contract avoids going to arbitration. According to Rosenthal the new deal is a major league guaranteed contract. The agreement seems to be a win-win situation for both sides as Cingrani has pitched very well when healthy. In 2018 his peripherals were quite good despite the left hander missing most of the season due to shoulder problems. The 29-year old southpaw appeared in 30 games in 2018 with the Dodgers and posted a 4.76 ERA. However he struck out 36 while walking only 6 in 22.2 innings pitched. 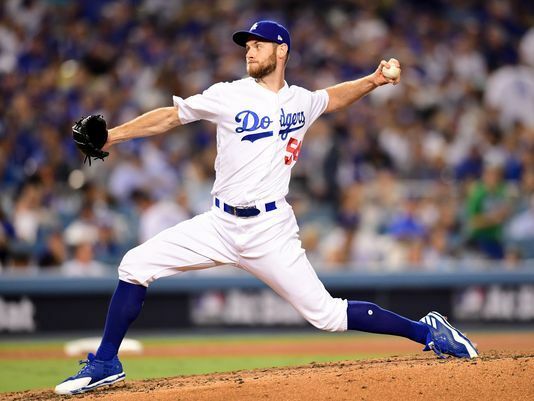 #Dodgers agree with LHP Tony Cingrani on one-year, $2.65 contract, fully guaranteed, source tells The Athletic. Most arbitration deals are not guaranteed. Cingrani struck out 14.3 per nine in 2018 and whiffed 13.0 batters per nine in 2017 during his stint with the National League pennant winning Dodgers. Cingrani allowed just 7.5 hits per nine last year and issued just 2.4 free passes per nine as well. In 2017 Cingrani appeared in 22 games and posted a 2.79 ERA with 28 strikeouts against just 6 walks in those 22 frames. Cingrani has allowed just three home runs as a Dodger. If Cingrani is healthy he could team up with Caleb Ferguson as a situational lefty. Or perhaps he could become an eighth inning setup guy, teaming with Pedro Baez as the bridge to Kenley Jansen. Either way the Dodgers deploy him in 2019, Cingrani has been a very good pitcher for the Dodgers since they acquired him. If health permits, look for him to become a vital cog in the Dodger’s 2019 bullpen plans. Although this signing does not excite me, at least he is an option out of the pen. Very good in 17, injured in 18, exactly the type of pitcher Friedman loves. Worst thing about this time of year is the lack of baseball news, boring NBA basketball, and no college football until later in the month. Of course that will all change when the meetings start in about 11 days. 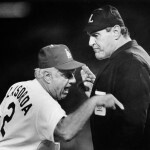 Not that the Dodgers will be part of any news coming out of the meetings, of course. Astute observation. My thought is that they have to do something or risk further alienate the fan base which is getting pretty frustrated at this point. Getting to the Series is great, but they want the win, not the achievement of getting there. 6 western titles are not enough to soothe the savage beast. Remember what I mentioned previously, Zaldi or whatever the hell his name is, said that getting to the WS two years in a row is a great achievement. He said it on TV the day following the one and only win we had in the WS this season. The fans problem is the FO doesn’t have the same goals as the fans. The fans’ goals are going unfulfilled, the FO goals are being totally fulfilled. Since the FO runs the show and the fans watch the show, I think you can see a great disconnect exists. This FO will not win a WS, bank it.